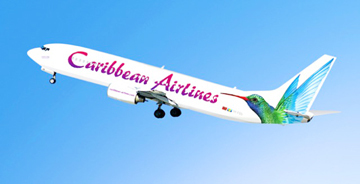 With a new fleet of airplanes, Guyana’s national flag carrier – Caribbean Airlines – will be looking to improve its service. Yesterday, the airline announced that it has chosen to enhance and renew its single-aisle fleet with the Boeing 737 MAX 8. The carrier, which has long operated the Next-Generation 737, said that it will take delivery of 12 MAX airplanes in the coming years. Caribbean Airlines Chairman, S. Ronnie Mohammed stated, “In 2019, we will place even greater focus on enhancing regional connectivity with more options to make our region more easily and affordably accessible. The Trinidad and Tobago state-owned flag carrier on Wednesday [November 21] recognised several of its corporate partners and longstanding top tier frequent flyers at a customer appreciation reception held at the Hyatt Regency Ballroom, Port-of-Spain, Trinidad. In attendance were several dignitaries, including the Prime Minister of Trinidad and Tobago, Dr. the Honourable Keith Rowley.